Usually, I hate waiting to write my reviews. I typically crank them out within a day after finishing the novel so that my thoughts are still fresh. However, with Thunderhead, I needed some time to reflect. 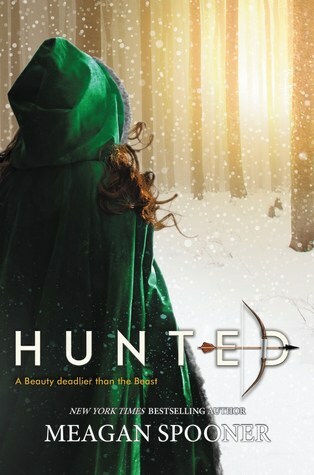 The ending was more than a little mind-boggling, and I didn't want that to couple with my love for the first book and cause me to give this sequel a higher rating than it deserved. The characters are still fabulous. Rowan, Citra, Sycthe Curie, and the rest of the cast comes back to play, and I gobbled up the chance to get to know them better. 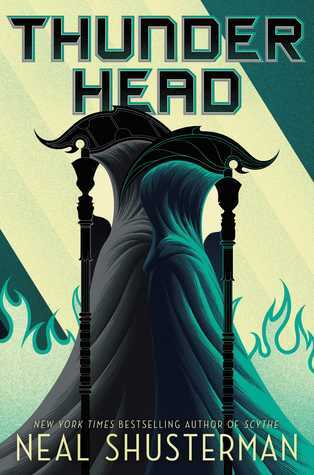 (Especially Rowan *fans self*) I also appreciated getting a bigger look behind the curtain that is the Thunderhead, as well as the more intricate details of the Scythe realm. Another bonus: I can't say too much, but I'll let you know that you finally get a taste of the romance the first book promised, and I was thoroughly delighted by the results. The thing I ADORED about Sycthe was its striking, penetrative gaze into the human soul and morality. I feel that Thunderhead failed to encapsulate that concept as adequately, which makes me sad. Additionally, I wasn't a fan of the villain that the story presents. Spoiler in white text: I mean come on, we couldn't come up with a new baddie? This Scythe Goddard guy has kinda run his course, even if he is crazy evil. Also, a new character was introduced, and several chapters are told from his POV, which made me grumble in annoyance. I picked up this book to read about my babies Citra and Rowan, not hear about this new guy's problems. Now, don't get me wrong: Shusterman's still a genius and this series is still awesome. It's just that I wanted a little more bang from this second book, but don't let my meager disappoint keep you from sticking with these books. The world of the Scythes is an amazing one, and Shusterman's writing is always impressive. P.S. The ending will leave you reeling, so be prepared. I'll applaud it, just not as much as I would the first book.